To a casual observer, Japanese whisky could be accused of being a simple copy of Scotch whisky. After all, an early pioneer of Japanese whisky, Masataka Takestsuru, studied chemistry and whisky making in Glasgow, apprenticed at two distilleries and brought his new skills back to Japan to co-found Suntory, one of the pillars of Japanese whisky still standing today. 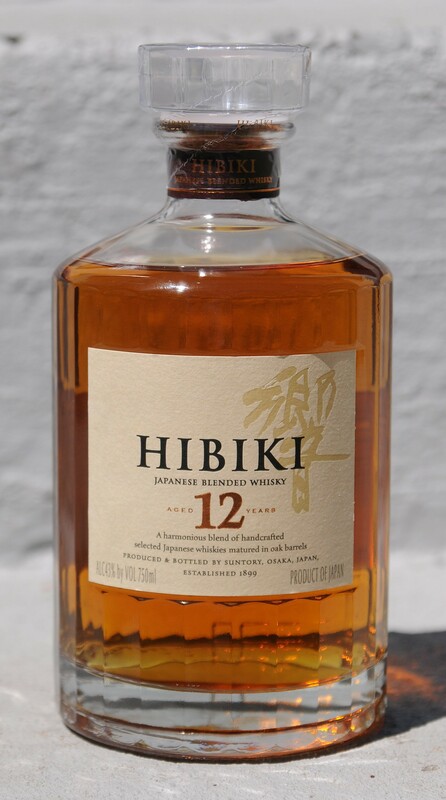 Given the fact that Scottish whisky has been the model, Dave Broom asserts that Japanese whisky still possesses a singular “clarity of aroma.” It does not contain as much of the cereal notes often found in Scotch due to the clear “wort” going into fermentation (the Scots prefer a cloudy wort, thus retaining the lipids in fermentation that contain the cereal flavors). The distillers also are known for putting an incredible amount of resources and skill into fermentation itself which provides many of the fruity aromas often found in Japanese whisky. Japanese oak, however, may provide the biggest difference: this kind of oak lends intense aromas (among others) of incense and coconut along with an acidic feel to the finished product. This whisky must be taken seriously. In recent years a number of bottlings have scored top awards from major tasting competitions above all other whiskies submitted including Scotch. This is serious stuff. Nose– A variety of fruity aromas – citrus, ripe plums, apricots and lime. Tropical feel. Banana and coconut underneath with slight smoke. Sweet, balanced and grounded. Taste– Sweet fruit, citrus. Light, wispy mouthfeel. Develops to smoke as it sits. Finish– Medium to long. Rich tangerine wafting through with spice. Lovely smoke on back end. Comment – Wonderful stuff. Good diversity of flavors on the palate and great complexity on the nose. Stunning drinkability with clear character. A must have. This is one of the best Japanese whiskies I have ever had in my career. The flavors are bright and abundant, with an awesome price point. A must have for any home bar. Agreed, Brian. A truly premium, luxurious blend. Not only that, but I just might consider doing some very bad things for a chance to try the 17 year old expression.